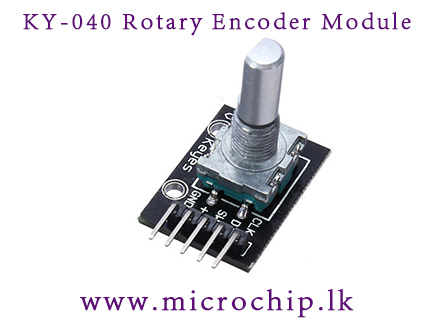 A rotary or “shaft” encoder is an angular measuring device. It is used to precisely measure rotation of wheel controllers that can turn infinitely (with no end stop like a potentiometer has). This equipped with a pushbutton when you press on the axis (like the ones used for navigation on many music controllers).